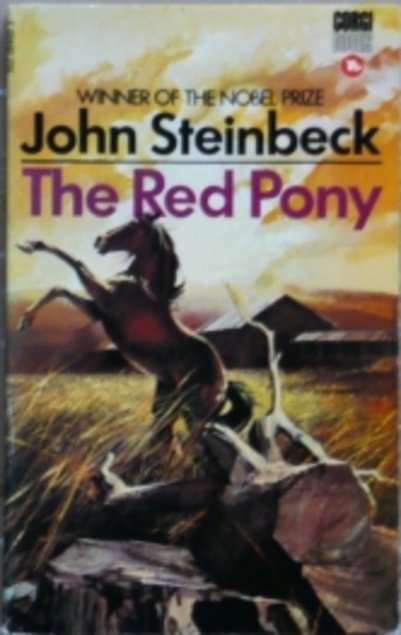 The Red Pony by John Steinbeck seems to have been published originally in book form in 1937, but the first four chapters – or short stories were published in magazines earlier in the 1930s. It’s a slim volume at just 120 pages and the last story is called Junius Maltby and features a man who is a bit of a dreamer, a reader and a philosopher which isn’t helpful if you own a farm and should be working in the fields. Anyway, back to The Red Pony tales and these were not at all what I expected. The writing is lovely as you would expect and obviously Steinbeck knew horses well, but really the reality of living on a ranch could be brutal at times and he didn’t sugar coat the way of life, so this one isn’t for people who want to avoid what can be the harsh realities of working around livestock.